Adolescence. For many, these four syllables are enough to fill us with terror — searching warily for distracted drivers or checking our teenagers’ beds to confirm that they are, in fact, in their beds. In our own lives, we remember this as a time of poor decision-making and curfew defiance, while fearing the same from our children. Yet for all of its challenges, adolescence also includes a wealth of opportunities and strengths that play a crucial role in our teens’ search for self-discovery. For that reason, it is our responsibility as adults not simply to correct and limit their exploration, but to guide and support them in this journey – and to celebrate this opportunity for growth. For it is a crucial aspect of adolescence not only to make mistakes, but to learn from them. And if we take it upon ourselves only to control and inhibit our teenagers’ adventures, then we not only incite rebellion but also rob them of a crucial opportunity for self-exploration. Instead, our role requires a careful balance of letting kids be kids, while also acting as mentors, confidants, and (when necessary) purveyors of consequence. I currently teach 18 and 19-year-olds at a local college. Yet even looking back just a few years to their own early adolescent selves, my students have identified powerful memories of challenge, self-discovery, and triumph. They describe their adolescent years as impulsive and full of regret, but they also describe them as formative. For every memory filled with shame, my students have also experienced youthful moments of adventure that have forever shaped their understanding of the world and compassion toward others. For those of us already years removed from adolescence and equipped with a lifetime of mistakes, it can be terrifying to know that our loved ones are in the midst of such a reckless, passionate stage. But we must also draw upon our own memories of wondrous self-discovery in order to fully understand and celebrate the adolescent endeavors of our own children. In technical terms, a psychologist might tell you that adolescence is characterized by a limbic system that rapidly outpaces the prefrontal cortex. In practical terms, this means that most teens do first, then ask questions later. Led by a brain that is highly responsive to rewards (e.g., peer acceptance) and immediate consequences (e.g., embarrassment) adolescents are both the victims and the benefactors of a developmentally unique psychological state. They explore, they leap before looking, and they struggle with a need for belonging that often drives the majority of their behaviors. At the same time, however, our teenagers are increasingly capable of complex problem-solving and creativity. Together, this combination of impulsiveness, risk-taking, and advanced thinking facilitates a unique capacity for growth, personal development, and learning. As teachers, mentors, and parents, it is our job (and our privilege) not only to keep teens safe, but also to channel their strengths toward healthy self-exploration and individuation. From middle school to senior prom, adolescent cognition is characterized by “dual-process thinking,” a constant battle between what feels good vs. what logic and intelligence so dutifully recommend. Frequently, intuitive, reward-based thinking wins out, leaving our teens with a memorable night past curfew, a couple of weeks of grounding, and (hopefully) limited injuries. At other times, these same architects of self-destruction may surprise us with their brilliance, stating their case for a new cellphone with the eloquence of an accomplished legal attorney. As a result, those of us in charge of supervising these youngsters often face the exasperating task of guiding those who are capable of making great decisions, but often do not. Yet while our temptation in responding to these challenges may be to take control, it is often far more helpful to encourage our adolescents’ increasing capacity to control themselves in healthy ways. When I first met James, I was fully confronted by this paradox. While sitting in the locked room of a detention facility, James had noticed that the entrances were not wheelchair accessible. With little hesitation, James took his next opportunity and literally leapt for freedom, hoping that the drop from a second-floor balcony might temporarily place him in a wheelchair and thus force his transfer to a more accommodating facility. Instead, James received only a sore ankle and a safety assessment in my office. Eventually, however, the same creativity and passion that led him to jump out a window became his greatest assets – as we worked to regulate his impulsiveness and channel these strengths toward positive goals. I didn’t make James’ decisions for him (nor would he have let me), and I didn’t decide the direction of his life. Yet with supportive communication, mutual respect, and many good-natured debates, James eventually became a positive leader for his peers and transitioned into successful adulthood. And although James’ story is an extreme one, his case nevertheless demonstrates the unique challenges and opportunities we face in supporting our adolescents’ development. Provide guidance, structure, and problem-solving. Research has proven that parental influence does help to reduce high-risk behaviors and improve teen health. Go parents! In particular, such intervention is most effective when it incorporates the strategies below. Listen to your teen. Validate their struggles and ideas. Whether you agree with your teen’s decision-making or not, helping them to feel understood will limit their resistance while supporting their need for independence. A teen who feels adequately supported is also more likely to speak with you regarding future issues – potentially reducing their impulsiveness and providing you with more opportunities to encourage healthy decision-making. Treat your teen with respect and appreciation. Teens are intelligent, passionate, and highly invested in the world around them. Acknowledging their many strengths will not only improve your relationship, but also help them to feel supported rather than caged – potentially reducing their rebellious feelings or behaviors. Be a part of your teen’s decision-making, not always the one making decisions. Be a sounding board for your teen. Help them to process ideas, assess the “pros and cons,” and consider long-term outcomes without simply telling them “no.” In particular, encourage your teen to use their own increasingly-advanced problem-solving skills to “think through” impulsive temptations and identify healthy solutions. In addition to building trust and collaboration, this practice will help your teen to further develop problem-solving skills and process their own future decisions. Lead by example. Although teens often resist authority, they are also searching desperately for positive role models to “lead the way” through life. Modeling positive decision-making is a powerful, non-confrontational way of supporting your child’s healthy lifestyle. Encourage positive relationships and activities. You can’t (and shouldn’t) stop your teen from spending time with friends or seeking adventure. But you can support them in doing these things in healthy ways. Encourage communication with positive peers and role models, support your teen’s engagement in school activities, and join them in exciting family adventures. Besides, the teenage years are fun, and you deserve to be a part of that. As parents, teachers, or mentors, it is crucial to understand the many challenges that our teenagers face. Yet is no less important to appreciate the corresponding opportunities and wonders inherent to this age of crucial development and exploration. From middle school to college, our children will undergo enormous changes in height, intelligence, and personality – gradually setting a course toward the wonderful adults that they will someday become. And although it may be tempting for us to take the wheel, there are also times when we must let them lead the way. For on their journey toward self-discovery, our teens must be captains of their own ship, while we may serve as their first mate. We must guide them through dangerous waters, certainly, while also helping them to chart their own course. To do otherwise would be to tempt a mutiny. But more importantly, it would rob us of the opportunity see where their adventure might lead us — and to join them in that wonderful journey. After all, adolescence itself is an adventure. And though it remains our responsibility to ensure our teens safely navigate that adventure, this doesn’t mean that we cannot enjoy the ride. 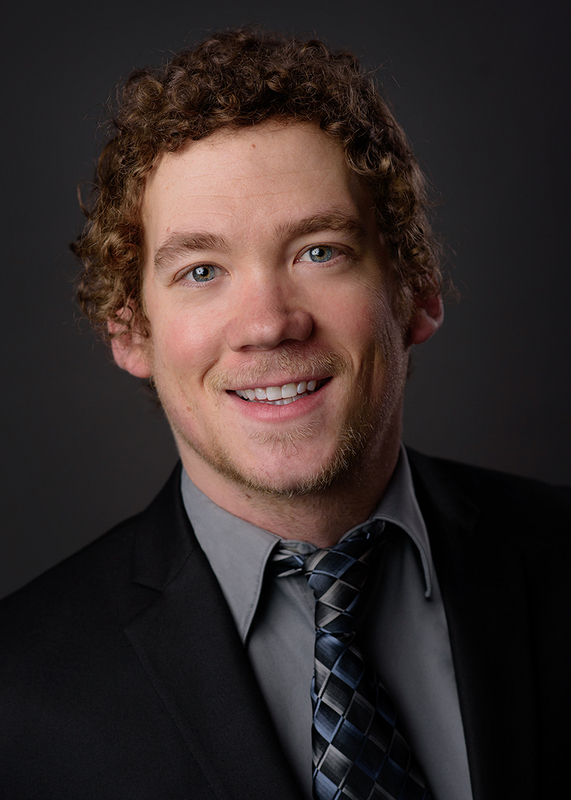 Dr. Julian Nolen is a licensed psychologist at Intermountain who has worked in both Residential and School-Based Services and now provides psychological evaluation in Outpatient Clinical Services. He has been working with children and adolescents for 14 years, and was once a teenager himself.